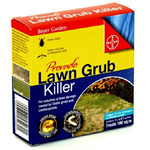 Provado Lawn Grub Killer for the control of Leatherjackets and Chafer Grubs. These pests feed off the grass roots which can cause unslightly yellowing and dead patches. Important read and adhere to instructions supplied. Simply sprinkle this powder into the mole hill. It will discourage and move Moles from your garden, without harming them. Ideal for lawns or garden borders.